I promise it's not hard to get a website! People with no technological background often think the internet is full of experts who speak in binary and will laugh if you don't know the difference between a URL and a LOL. I can get you up and running within a couple of days, depending on what you need. And the best bit is that maintaining the site - adding news, updating images, that sort of thing - is really easy and something you will soon be an expert in. 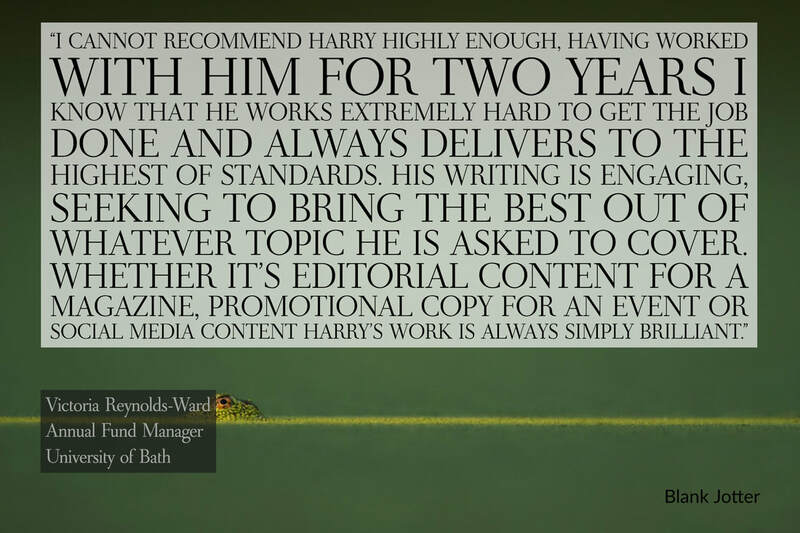 If you can use Microsoft Word, you can do this. Additionally, I can set you up on Google Analytics, organise the purchase of your selected web address, and even create your web content (the actual words and images on the page). Prices below are to set up the design of the site and get it up and running. Get in touch and we can discuss your needs in greater detail. I can quickly develop a single-page web presence for you. You can add pages to the site any time in the future. This can be as straightforward as a single page attached to your URL with some contact information and further details. Are you looking for a website that can be created quickly and at minimum cost? I can cut down costs so you aren't paying any hosting fees or running costs - just my time to pull your page together. Your website will be hosted on a free Weebly domain (so it will look like www.yourwebsite.weebly.com). When you come to grow your presence, we can easily change this to a domain you are happy with (for example, www.yourdomain.com) and take it to the next level! 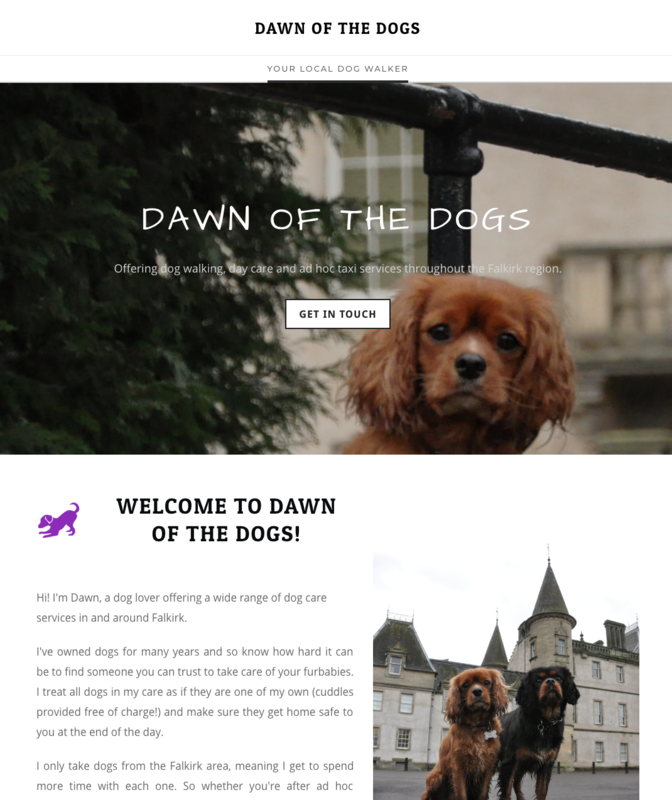 Have a look at my example, which is a new dog walking service: DawnoftheDogs. You'll see it is hosted on a Weebly domain, and is one scrollable page with nice images and good, explanatory text. I use Facebook - why do I need a website too? You might not need a website, but having one will help people find you on Google, and with 3.5 BILLION searches every day, is that a potential customer base you can afford to lose? ​By having a website that is written with Google in mind, you can have a high profile and high performing website that helps drive business your way. Taking it to the next level, we can go into more detail about who you are and what you do, and include additional pages like About, Contact, Portfolio and links to your social media platforms. The design will maintain a style consistent to your brand, business cards or anything else that relates to you. The ISEE! Scotland website explains what it does and how you can get involved clearly, and without fuss. If you are looking to sell goods or services on your website, Blank Jotter can help there too. A full store can be created with multiple functions, including automatic receipt emails and voucher options. The Edinburgh Dog Photography website has a range of options for purchasing their service, wrapped up in an image-led series of pages. ​Please also check out Dumfries and Galloway Unlimited for an example of my work where the old site was no longer fit for purpose, and asked me to produce a modern looking website which can easily be updated by their team.